YoPriceville.com is a YoWorld Price Guide, designed for all who play the Big Viking Games game. The purpose of our site is to inform people about the market for old and rare items in YoWorld. YoWorld is a fun animated, and interactive online game with millions of fans allowing people from all around the world to connect and socialize, as well as creating and displaying their own online look and homes. Using their skills for decoration and marketing, all YoVillians can achieve a better level of game play. Our team at YoPriceVille strives to improve and help players by impartially monitoring the prices of all rare and old items in YoWorld. 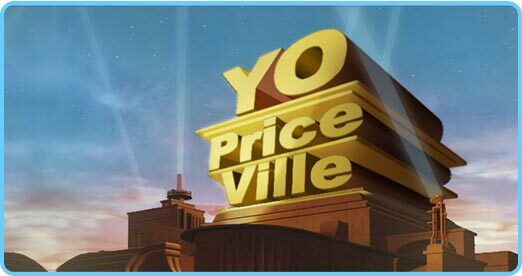 Thank You for visiting our site and choosing YoPriceVille.com - YoWorld's most reliable Up To Date price guide. If you haven't experienced playing "YoWorlda", log in today and give it a try. Have fun and happy gaming. Sincerely, Your dedicated YoPriceVille Team.